The Brent Geese have been back ’round about here for some weeks now. You can hear them, but you usually also have wind and/or waves, but this night was warm and very still so a good chance to try and listen in. Could hear them from Chalkwell Esplanade, but too far away to try and record, same with Cliff Parade, plus you have cars passing so was going to try Bell Wharf. That had diggers and plant on it doing something construction, and the noise was coming from slightly to the west and wasn’t moving. This was recorded on the breakwater next to the tidal pool with the tide going out. You hear geese, a couple stripping off and going into the water and faintly, another couple talking on the path behind, what becomes the narrow Cinder Path. Couldn’t see them as it is unlit but think they were sat on a bench also listening in to the geese. It was unseasonably warm. There are pubs and restaurants nearby, and it was about 1.45am. 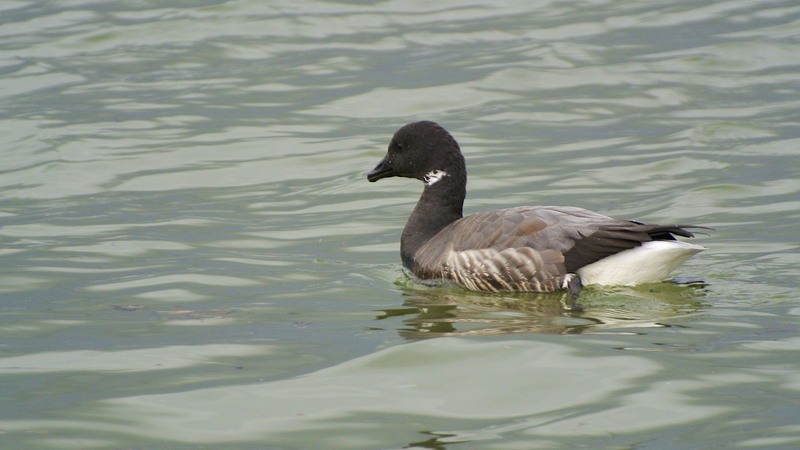 Photograph of Brent goose by Ian Kirk used under Creative Commons (Attribution) licence.